See more objects with the tag interior, domestic, streamlined, home, metal, tool, plastic, laundry, black plastic. See more objects with the color darkslategrey sienna saddlebrown or see all the colors for this object. This is a iron. 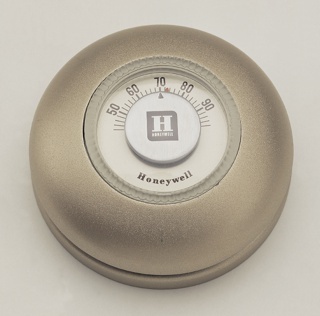 It was manufactured by American Electrical Heater Company. It is dated ca. 1945 and we acquired it in 1993. Its medium is metal, plastic, rubber, electrical components. It is a part of the Product Design and Decorative Arts department. The electric iron, credited to Henry W. Seeley in 1882, was revolutionized in the 1920s when the first thermostatically-controlled electric iron was produced. 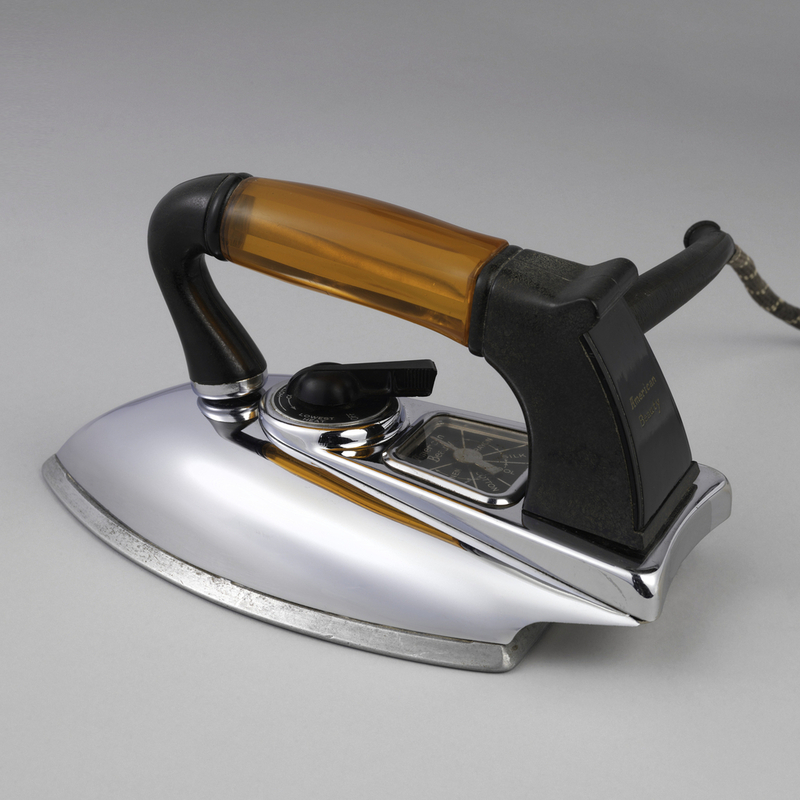 The iron changed again in 1938, with the debut of the first commercially popular steam iron, which paved the way for domestic electric steam irons in the 1940s and 50s. 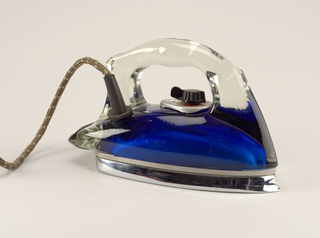 This iron, part of the American Electrical Heater Company’s “American Beauty” line of appliances, was a popular, streamlined take on the new technology. This object was donated by Carole Krohn. It is credited Gift of Carole Krohn.